Pollen dust is on the decline nowadays. Where are you planning to go this coming Golden Week? 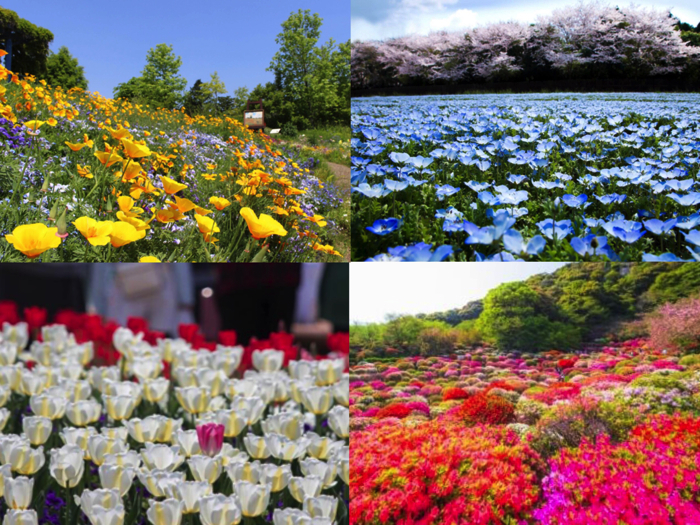 Below are 6 recommended flower festivals in Japan. 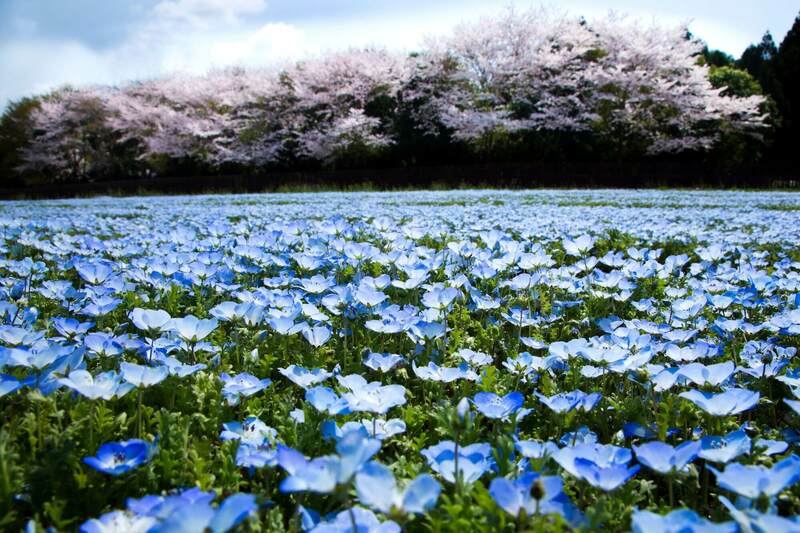 In this festival, you can enjoy viewing about 190 thousand flowers (50 kinds) from early April to late April. The main, big flower garden has been renewed, so you can walk inside the garden filled with tulips! Also, Yaeszakuras (sakura) centering around Sekiyama and field flowers will bloom here and there. 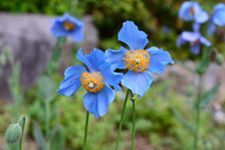 Mount Rokko National Park will hold a special event highlighting flowers in the backlands such as Himalaya mountains centering around “Himalayan blue poppy.” About 1,000 blue poppies will bloom in the rock garden and rare varieties such as the red alpine rose named, Rhododendron arboreum will be exhibited. 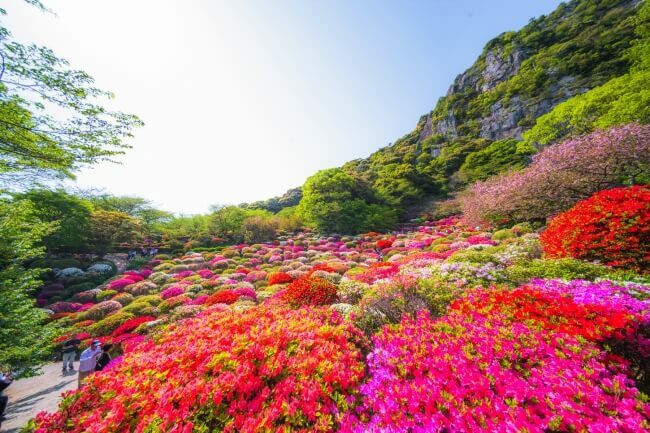 Mifunayama Raken is designated as a National Treasure and you can enjoy viewing many kinds of spring flowers such as azaleas, Japanese wisterias and spring maples. Garden Museum Hiei (17,000 square meters) is an impressionist styled garden which was opened on the 14th of April. 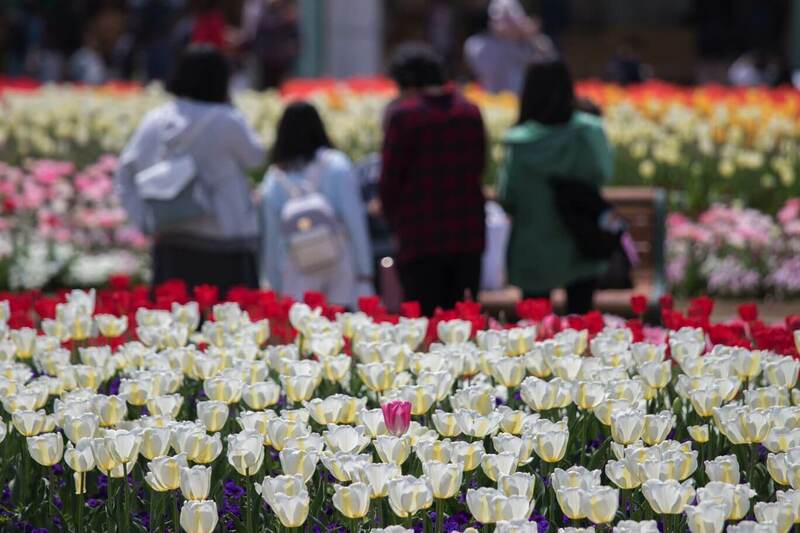 Tulips which survived the severe winter coldness will bloom from the 28th of April (Sat.) to the 6th of May (Sun.). The garden is also offering seeds of four leaves clover in April. 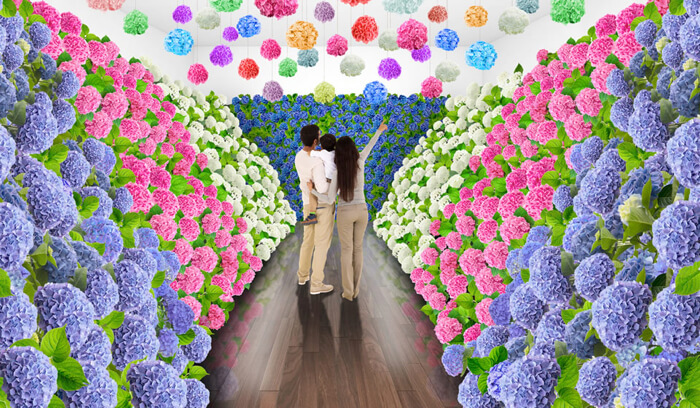 Ajisai Matsuri (‘Hydrangea Festival’) will take place at Huis Ten Bosch in Nagasaki from June 2 to July 1, showcasing 1,250 varieties of hydrangea. There will also be a market where you can buy a variety of plans you’re interested in, as well as go on a tour by a hydrangea expert, a hydrangea light-up show at night, and more. 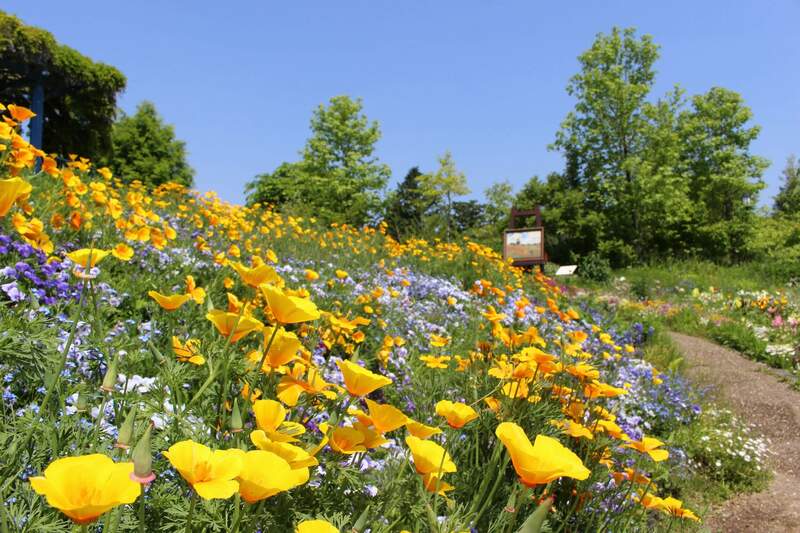 Please refer to this article when you want to visit a spring flower festival. Next » Mother’s Day in Japan: Flowers, Sweets & Other Gift Ideas for 2018!